I cannot thank the staff at [Believe Bride] enough, Sofiya especially! She was beyond amazing with helping us find the PERFECT dress and accessories. I cannot say enough good things. I would highly recommend Sofiya and [Believe Bride]! Thank you ladies!! 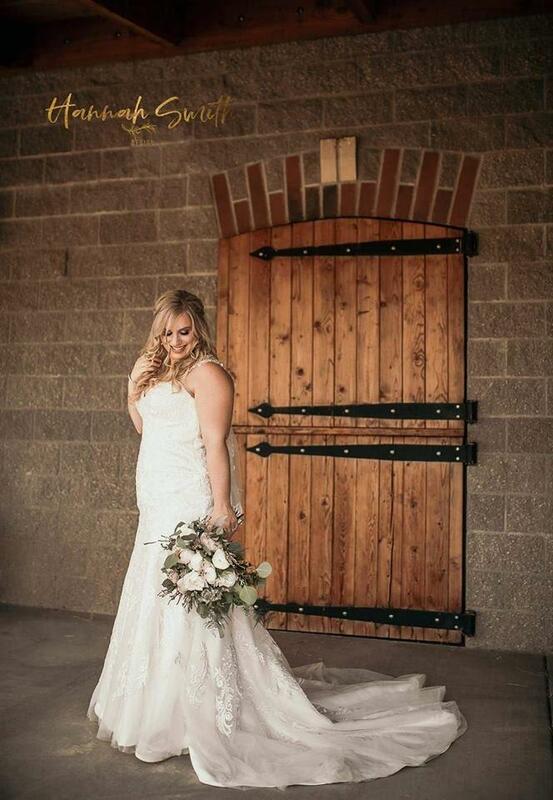 ATTENTION ALL PLUS SIZE BRIDES- Please do yourself a favor and skip David’s Bridal. I know, you’re probably thinking, “but where else will I find a gown that fits me! ?” Trust me, go to [Believe Bride]. When I arrived at the salon I was discouraged. I was sure I would not be able to find a gown in my size that truly encompassed who I am as a size 28 bride. My stylist, Ali led me back to a room full of gowns for bigger women. Yes, you read that right. A mother freaking room FULL OF GOWNS for bigger women. I found the most amazing blush lace gown that fit me absolutely perfect. Ali was so accommodating and energetic. She truly made my whole experience the absolute best. I will recommend all friends, acquaintances, and strangers to [Believe Bride] for long as have breath in my lungs. Great bridal shop!!! I am a curvy girl so was hesitant going into wedding dress shopping. Natalie at [Believe Bride] was great and very helpful. She brought me to the curvy, plus size dress section of the store and it made me feel very welcomed and accepting of my curves. I ended up getting the 2nd dress I tried on ever in the store that day. 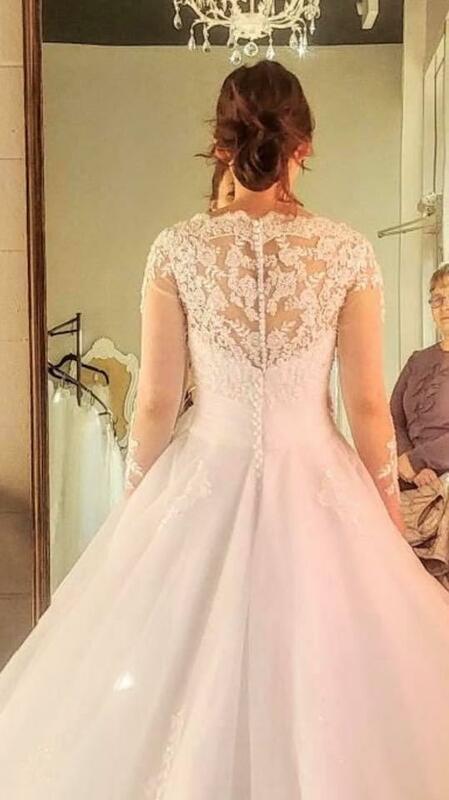 I also used their alterations department to take in the bust of my dress, hem it at the bottom, add a bustle, and they created a keyhole back and lace strap look to my original strapless dress. Everything was amazing and I loved how my dress looked after all the additions and alterations. Thank you [Believe Bride]! The only thing better than getting to see my sister try on and find her wedding dress was her consultant, Taylor! Her attention to detail and ability to listen to her bride and select the perfect dress was incredible. I’m so excited to see my big sister walk down the aisle in her perfect dress! Thank you [Believe Bride]. I can’t wait to come back and choose my dress one day. I had an amazing experience working with Alena. I came into this experience not knowing exactly what I wanted and she was able to help me customize the perfect dress! She made an experience I was initially nervous about, into a day I will never forget! Thank you again for a wonderful day! I found my dream wedding dress at [Believe Bride]. I had been to several other bridal salons and none compared to BB. The consultants were so kind, patient, professional, and made the experience so special. They listened carefully to what I wanted, stayed in my budget, and were so sweet. I am so thankful I chose to purchase my wedding dress at [Believe Bride]! The service and selection are beyond compare. We had looked all day all over Spokane with my niece for prom, and wished we had gone here first. So many styles and sizes. Customer service was absolutely amazing. They asked the right questions and pulled many dresses for her to try on. Gave her a real boutique experience.